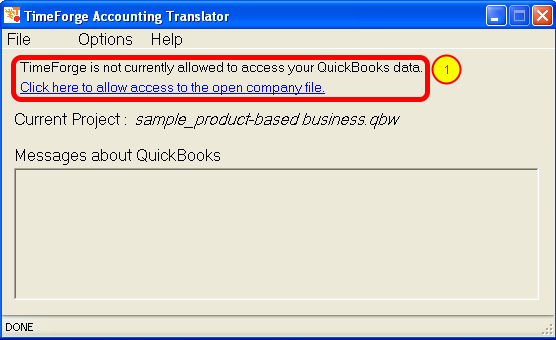 After you open your QuickBooks company file, you will receive a prompt similar to the above image. 1. 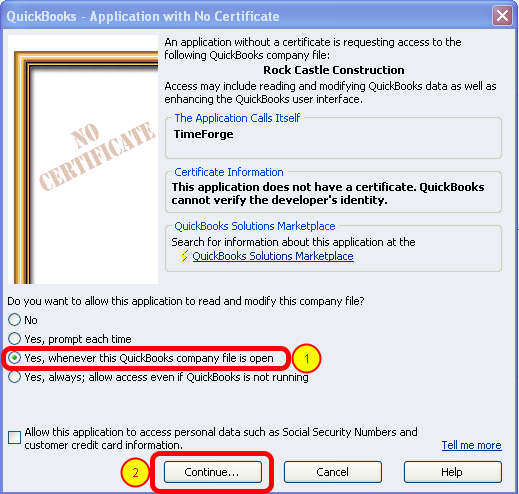 Make sure to choose the “Yes, whenever the QuickBooks company file is open.” option. Please note: You may receive an additional prompt to ensure that you want to allow TimeForge access to your company file. The TimeForge Accounting Translator will tell you about the status of the TimeForge synchronization. 1. After permission has been granted to access your QuickBooks company file, you still need to set up the payroll type to import (which is the next step). Click on the link to set up the payroll item type. 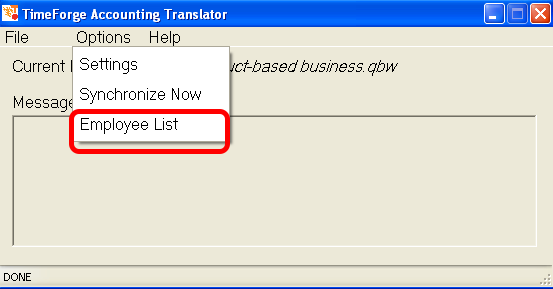 A payroll item in QuickBooks is a way to do payroll calculations and reporting. Every item on a paycheck is tracked with a payroll item, thus the name payroll item. TimeForge allows you to choose a payroll item for importing time sheets. Currently, TimeForge only allows one payroll item to be chosen for all imported time sheets. In the future, TimeForge will allow separate payroll items for hourly, salaried, sick, vacation, and overtime. 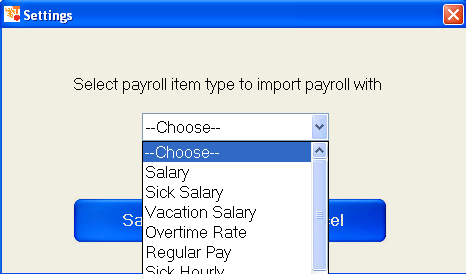 Choose an appropriate payroll item to import the time sheets. Before importing staff time sheets, make sure to review the Employee List. TimeForge imports employees into QuickBooks based on their Full Name (the combination of their first name, middle name, and last name). Because TimeForge imports employees into QuickBooks based on their Full Name (the combination of their first name, middle name, and last name), you will want to make sure that these lists of staff members are both correct. 1. This is a list of employees who are present in TimeForge (and may have time sheets), but are not in QuickBooks. The time sheets for these employees will not be imported into QuickBooks. To import the time sheets for these staff members, please add the employees into QuickBooks. 2. 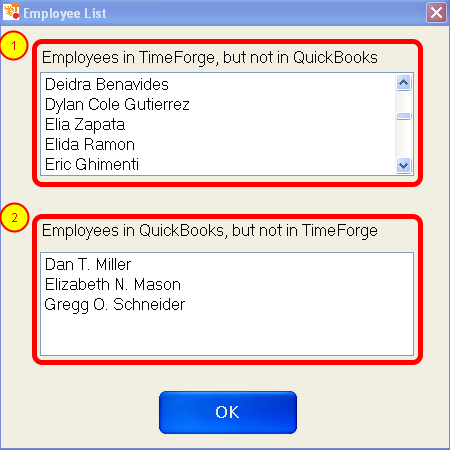 This is a list of employees who are present in QuickBooks, but are not in TimeForge. These employees do not have TimeForge accounts, nor do they have time sheets. If you would like to collect time cards for these staff members, please add the employees to TimeForge.